When there’s a chill in the air, I love to soothe myself with a warm cup of tea. I often choose to indulge in a strong, black tea like Earl Grey or Irish Breakfast, but there’s something special about spiced Chai. Not only is it creamy and rich, but the spices that lend themselves to the complex flavor are warming and healing. Oh my gosh, you all. Am I ever glad that I gave this weird brew a whirl! It’s a new favorite for me, and I hope you enjoy it, too! 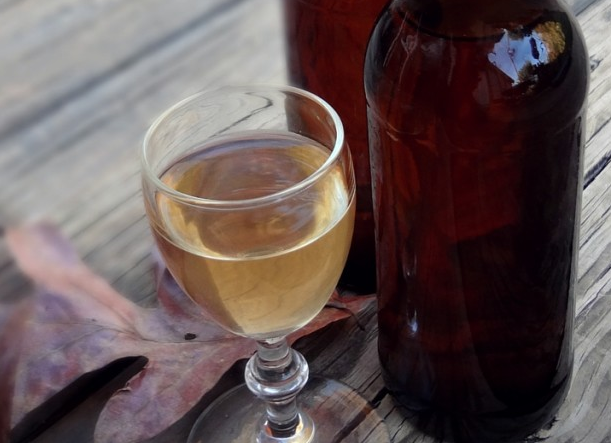 The following recipe and technique assumes that you have the basic equipment and knowledge for how to brew a gallon of wine or mead. Need help? I have a few great reference books on brewing listed on the Pixie’s Bookshelf, and my own free guide to brewing can be found here. 1. Boil most of the water in a large pot. Add the chopped ginger, black pepper, cloves, cinnamon sticks, and star anise. Turn the heat down to medium-low. 3. Remove the pot from heat and add the tea bags. Cover the pot and let it sit for about 10-15 minutes. 4. Remove the tea bags. Pour the sugar into the warm, spiced tea and stir to dissolve. 5. Once the pot is cool enough to handle and the liquid safe to pour, strain the tea into your sanitized carboy and top it off with the rest of the water to the neck. I put one of the cinnamon sticks back into the carboy to infuse while the yeast does its magic. 6. Add the bung and airlock to the jug. 5. When the carboy is cool (a few hours later), sprinkle in half of the packet of yeast and give it a shake. Within a day or two, you’ll notice happy fermentation. (Here’s a video of what fermentation looks like!) the jug should be bubbling happily. It should be happy to sit and bubble for a month or so. 6. When the bubbles stop and the liquid is clear, it is time to bottle your brew! This golden-brown brew was so delicious, dry, and spiced at bottling that I did not need to add any sugar syrup. I’m sure it will age into something special, but it is pretty tasty even young as it is! The next time that I make this brew, I will add a bit of molasses to give it a bit more body, or perhaps add some fresh pumpkin to the boil to truly make an autumnal beverage. Oh, and I can’t wait to try it mulled! Well, fingers crossed. Started a batch this evening and hoping for a good outcome. Yay! Is it bubbling yet? Started a five gallon batch today and added just a bit of molasses. Hoping I didn’t overdo the ginger but looking forward to seeing how it develops! How long do you leave it in the bottle before trying some? Thinking this sounds like a good project to start this weekend. Pixie, your my new favorite!!!! I’m SUPER excited to try this wine. I may make a couple of subtle variations. Thank you for your inspirational recipes. I adore what I call “Wonkey Wines” They always give such wonderful and surprising results! Wonkey Wines sound like a ton of fun! Thanks for your kind words, and for finding me on Instagram, too. 🙂 Cheers, Michelle!! Sure! I switch between sugar and honey in many of my recipes. 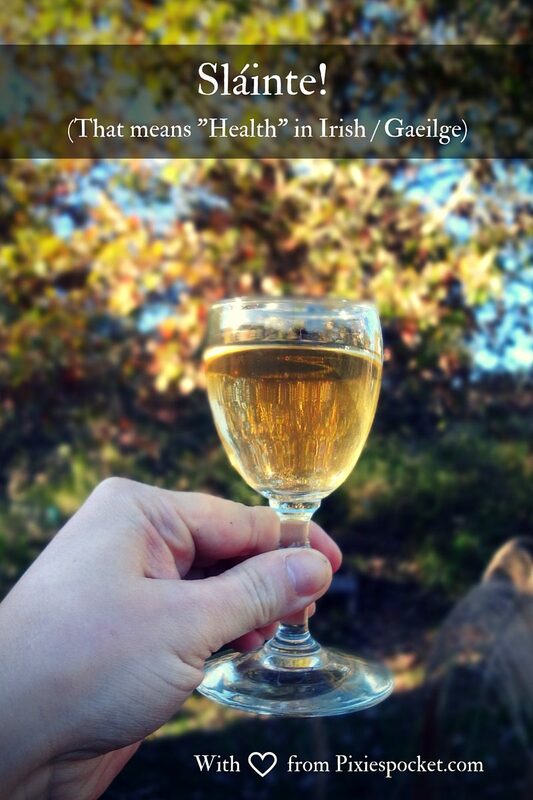 My basic measurements for a gallon are 2-3 pounds of honey for mead, or 3-4 cups of sugar for wine. Wow, so much honey! 😀 That sounds great!! Looks amazing. 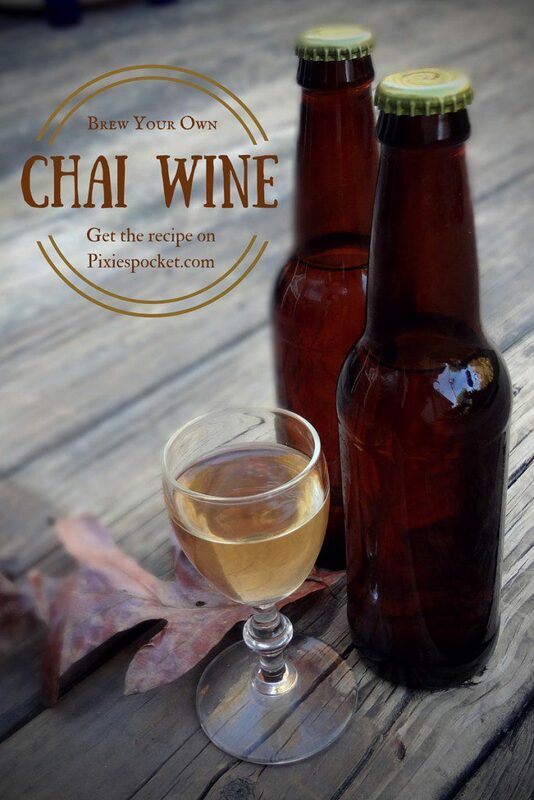 I’m curious, have you added milk to the finished chai wine in a glass? It might taste exactly like a delicious milky chai from the tea stall’s of India? Good question! I would assume that some of the caffeine would transfer. I bet decaf tea would work just fine! It should mess with the flavor at all. The tannins in the tea are still present in the decaf, tannins and the flavor are the main part we want! Just recently bottled my first batch of a jaom and a raspberry varient jaom and decided to try a little more difficult recipe. I have a small question though, I have most everything for the chai wine except I have ground ginger instead of fresh root, and I have a small container of star anise seeds. Would these substitute properly for the recipe or should I hold off and aquire the proper ingredients? I bet that would be delicious! You make it how you like it, that’s the basic rule! I haven’t done many ground herbs in my meads, so I’m not sure how much dried ginger to substitute for the fresh. I often just make up the recipes from what I have on hand. Have fun with it! Cheers! Those will definitely give a flavor that’s just like it smells. Not bad, but potent! Did you ever try it with the molasses and how/when/how much did you add? Would you sub it for some of the sugar or add on top of what you already have? This is my first foray into making wine from things other than grapes, and I’m excited to experiment! Love you site. Molasses is one of those ingredients to use VERY sparingly! I use just a dribble of it, barely even a teaspoon for a whole gallon. It adds color, but too much molasses makes a bitter, metallic flavor in my experience! You could compromise by using brown sugar instead of white sugar to brew it, if you want a more molasses rich flavor! Thanks! I was thinking of brown sugar, or maybe half brown and half white. Just got the yeast delivered today, so will try some tomorrow, and will call it Valentine Chai! That sounds delicious! I hope it all went wonderfully! !